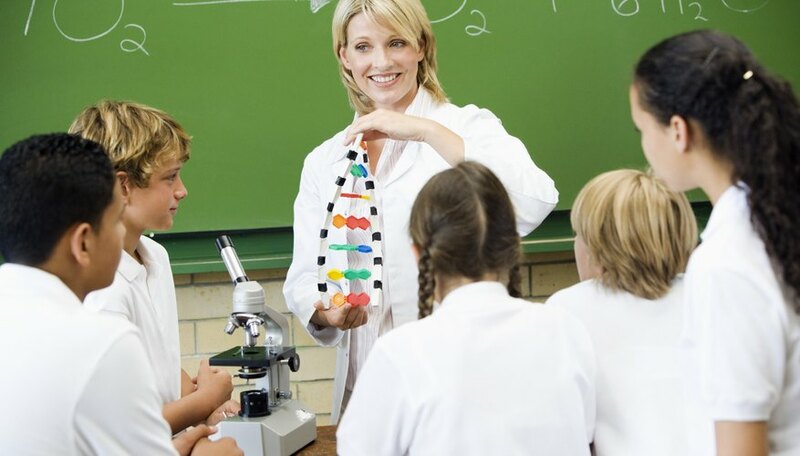 Ribonucleic acid, or RNA, is a close relative of deoxyribonucleic acid (DNA). Like DNA, RNA contains a backbone of alternating sugars and phosphates, with one of four different nucleotide bases -- cyclic molecules containing nitrogen -- hanging off each sugar group. A DNA sugar group has one less oxygen atom than does the sugar in RNA. DNA is the caretaker of a species’ genetic code, but the function of RNA is different. One type of RNA molecule is a temporary messenger that shuttles a copy of the code from a cell’s DNA to its protein-making machinery. RNA contains a copy of a portion of the genetic code kept by a cell's DNA. DNA is a double-stranded molecule. The two strands bind to each other because of atomic bonds between the nucleotide bases on each strand, helped out by other binding forces supplied by proteins called histones. The sequence of nucleotide bases along the length of a DNA strand is a code for protein production. Each triplet of bases codes for a specific amino acid, the building block of protein. The four DNA bases are adenine (A), cytosine (C), guanine (G) and thymine (T). Bases on one DNA strand are paired to bases on its sister strand according to strict rules: A’s must pair with T’s and C’s must pair with G’s. Therefore, one DNA strand within a double-helix molecule is antiparallel to its sister strand, because the base pairs at each position are complementary. The cell produces RNA by transcribing sections of DNA molecules known as genes. Ribosomal RNA (rRNA) is used to build ribosomes, which are the cell’s tiny protein-making factories. Transfer RNA (tRNA) acts like a shuttle bus to fetch amino acids to the ribosomes as needed. It is the job of messenger RNA (mRNA) to tell the ribosome how to build a protein -- that is, the order in which to string amino acids onto a growing strand of protein. For the proteins to come out right, mRNA must transmit the correct genetic code from DNA to ribosomes. To build an RNA molecule, the area around a DNA gene must first relax and the two strands must temporarily separate. The separation allows an enzyme complex containing RNA polymerase to fit into a space and attach to the gene’s starting area, or promoter, on one of the two strands. The complex only attaches to the “template strand,” not to the complementary “sense strand.” Moving along the DNA template strand one base at a time, the complex adds complementary nucleotide bases to the growing strand of RNA. The enzyme observes the base pairing rules with one exception: it uses the base uracil (U) instead of the T base. For example, if the complex encounters the base sequence AATGC on the DNA template strand, it adds nucleotide bases in the sequence UUACG to the RNA strand. In this way, the RNA strand matches the gene on the sense strand and complements the gene on the template strand. After transcription completes, the cell adds sequences to each end of a raw mRNA strand, called the primary transcript, to protect it from enzyme attack, removes unwanted portions, and then sends the mature strand off to find a nice ribosome. The newly encoded mRNA molecule travels to a ribosome, where it attaches to a binding site. The ribosome reads the first triplet, or codon, of mRNA bases and grabs a tRNA-amino acid molecule that has a complementary anti-codon of bases. Invariably, the first mRNA codon is AUG, which codes for the amino acid methionine. Therefore, the first tRNA contains the anti-codon UAC and has a methionine molecule in tow. The ribosome clips the methionine from the tRNA and attaches it to a specific site on the ribosome. The ribosome then reads the next mRNA codon, grabs a tRNA with a complementary anti-codon, and attaches the second amino acid to the methionine molecule. The cycle repeats until the translation is complete, at which point the ribosome releases the freshly minted protein that was encoded by the strand of mRNA. RNA Society: What is RNA? Bank,, Eric. 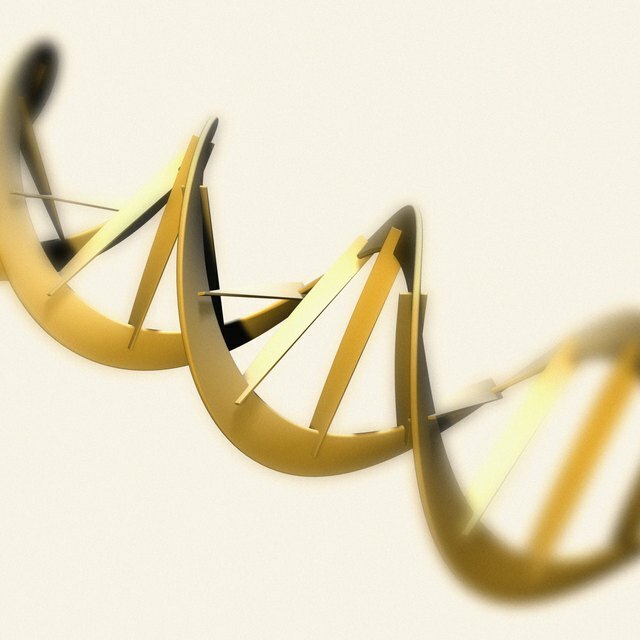 "Does RNA Contain a Genetic Code?" Sciencing, https://sciencing.com/rna-contain-genetic-code-18477.html. 03 August 2018.